This week is the last week of my winter vacation before I have to start spring semester. Because I'm trying to savor every bit of it, I haven't had the chance to take any outfit pictures. What I do have is a picture of my new favorite flats. In October I had the chance (and a little bit of money) to stop by Forever 21. 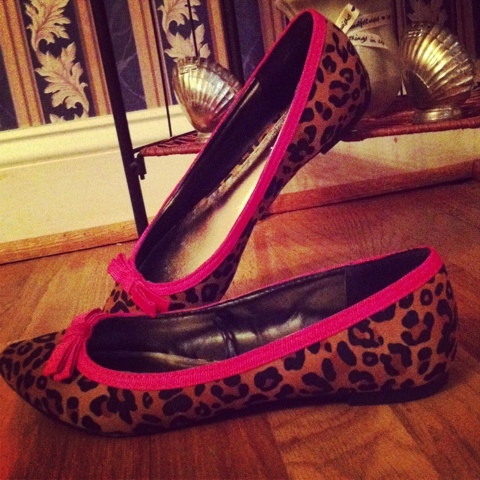 As I was browsing through the sales section, I came across a cute pair of leopard flats. As fate would have it, there was only one pair left and they were a size 6. I was able to get these pair for only $10.